New Yorkers are passionate about many things—proper sidewalk etiquette, their pizza vs. every other city’s pizza, the Mets vs. the Yankees—but near the top of that list for many residents is the preservation of historic buildings and other iconic structures. This year, as the city’s Landmarks Preservation Commission celebrates its 50th anniversary, blogger Jeremiah Moss has been spearheading a campaign called #SaveNYC, which is aimed at stopping the destruction of New York City’s quirky, one-of-a-kind establishments. Given the current focus on preservation, it seems an appropriate time to look back to when that concept was still brand-new, and an unlikely rescuer stepped in to save a decaying train station. In the aftermath of the destruction of the old Penn Station in 1963—a move that The New York Times described as “a monumental act of vandalism against one of the largest and finest landmarks of its age of Roman elegance”—the Landmarks Preservation Commission was created by then-Mayor Robert F. Wagner. The idea was to protect the city’s iconic, historic structures, with the Astor Library (now the Public Theater) becoming one of its first landmarked buildings in 1965. But even with the new organization in place, Penn Station’s east side counterpart, Grand Central Terminal, nearly suffered a similar fate. Though it opened to great fanfare in 1913, welcoming more than 150,000 visitors on its first day, Grand Central Terminal lost its sparkle as the decades wore on. Its Beaux-Arts beauty—which had once helped spur the growth of Midtown (indirectly leading to the construction of icons like the Chrysler Building and the Waldorf Astoria Hotel)—had become something of an eyesore by the mid-20th-century. 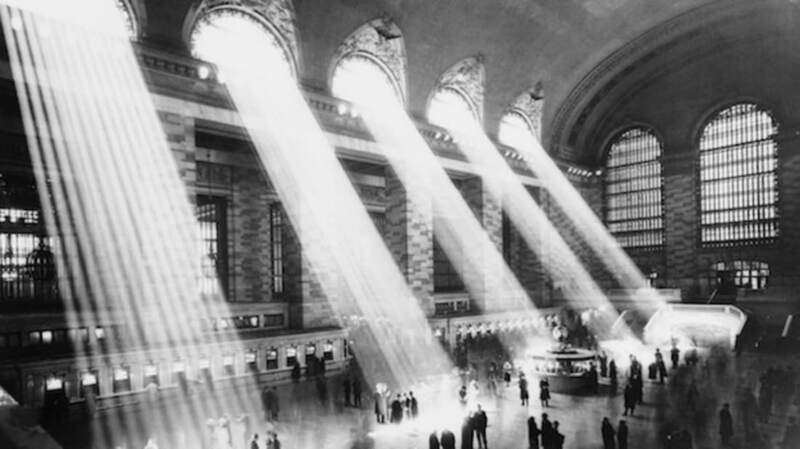 The ceiling of the main concourse, with its massive mural of constellations, was blackened from grime and tobacco smoke, the roof leaked, and a giant Kodak ad loomed large over the station. Train revenues were declining, leaving the station’s future uncertain. Rumblings about tearing down Grand Central Terminal first began in 1954, when New York Central (the rail company that owned Grand Central Terminal) first proposed replacing the downtrodden station with a money-making skyscraper. Architect I.M. Pei even proposed a cylindrical behemoth called the Hyperboloid to be built in the terminal’s place, though it ultimately never got off the ground. So what did end up getting built? The Pan Am Building, now known as the MetLife Building, a 58-story glass-and-steel tower that stuck out like a sore thumb against Grand Central’s Beaux-Arts façade. (The New York Times' architecture critic Ada Louise Huxtable called the building “gigantically second rate” upon its completion.) Luckily, the train station was spared—at least for the moment. 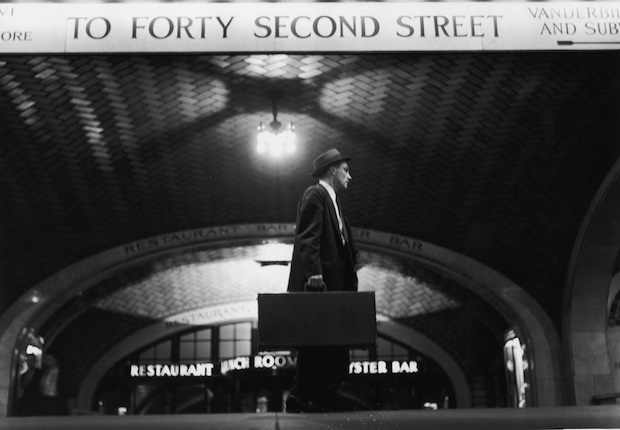 When the Landmarks Preservation Commission was created in 1965, it gave Grand Central’s protectors more ammunition in the fight to preserve the space, especially once the terminal was designated as a New York City landmark in 1967. But its opponents fought back: In 1968, a new conglomerate, the Penn Central Transportation Company (a merger between New York Central and the Pennsylvania Railroad) doubled down in its attempts to build on top of the terminal, getting architect Marcel Breur to design a 55-story skyscraper that would essentially sit on top of Grand Central Terminal. Advocates shut that down, and Penn Central eventually sued New York City to try and move forward with plans to alter the structure. That’s when a famous face stepped in to help: Jacqueline Kennedy Onassis, who had moved to New York City after her husband’s assassination, partnered with the Municipal Art Society to create the Committee to Save Grand Central Station. She spoke at meetings and appeared at press conferences, and even sent then-Mayor Abe Beame a letter urging him to help preserve the station. “Americans care about their past, but for short-term gain they ignore it and tear down everything that matters,” Kennedy wrote. (Ouch.) Most importantly, her fame and continued popularity in the public eye meant that the preservation of Grand Central became a cause célèbre. Even though Penn Central’s case went all the way to the U.S. Supreme Court, it was ultimately a lost cause, and Grand Central Terminal lived on. Sure, Jackie Kennedy wasn’t solely responsible for the station’s continued existence (and its eventual restoration, which took another couple of decades to complete), but her involvement definitely gave the cause more cachet. (NYC’s Metropolitan Transportation Authority, which now runs Grand Central Terminal, paid tribute to Kennedy’s perseverance in 2014 by naming the station’s main entrance at 42nd Street and Park Avenue after her.) Kennedy would later go on to champion other preservationist causes, including saving the Modernist Lever House building and opposing the construction of a massive building near St. Bartholomew’s Church on Park Avenue. The next time you stroll underneath the terminal’s gorgeously tiled Guastavino ceilings, or admire its celestial main-concourse mural, remember that you have the former First Lady to (partially) thank.